(1) The value of the equilibrium constant for a particular reaction is always constant depending only upon the temperature of the reaction and is independent of the concentration of the reactant with which we start or the directions from which the equilibrium is approached. 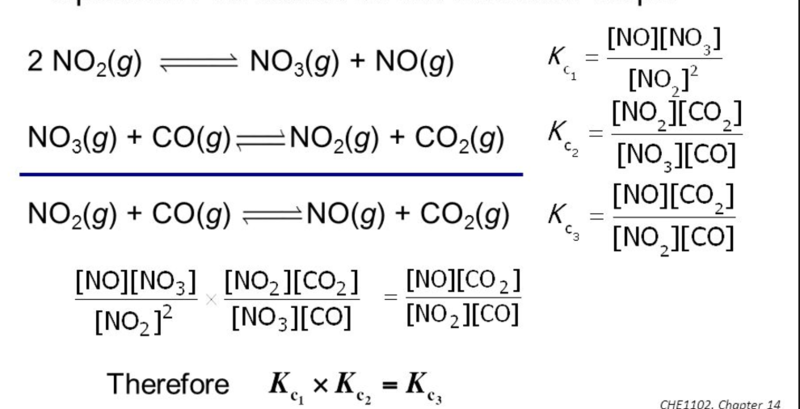 (2) If the reaction is reversed, the value of equilibrium constant is reversed. (3) If the equation having equilibrium constant K is divided by 2 ,the equilibrium constant for the new equation is the square root of K.
(4) If the equation having equilibrium constant is multiplied by 2 ,the equilibrium constant for the new equation is a square of equilibrium constant. This is because the catalyst increases the speed of forward reaction and backward reaction to same extent.